After about a minute of surfing the globe in GE, it had loaded so many images that it had once again driven the computer's physical memory to it's max. I usually run lots of apps at once on this particular machine. A particular moment in my work day usually involves these apps open at any given moment: FireFox, MS Outlook, Command Prompt, and more often than not MS Virtual PC 2007, a memory beast of it's own. Even when running, say, Windows XP Professional in MS VPC w/512MB of RAM allocated to it, the system didn't dog like it did when GE was open. Well, that was substantial. 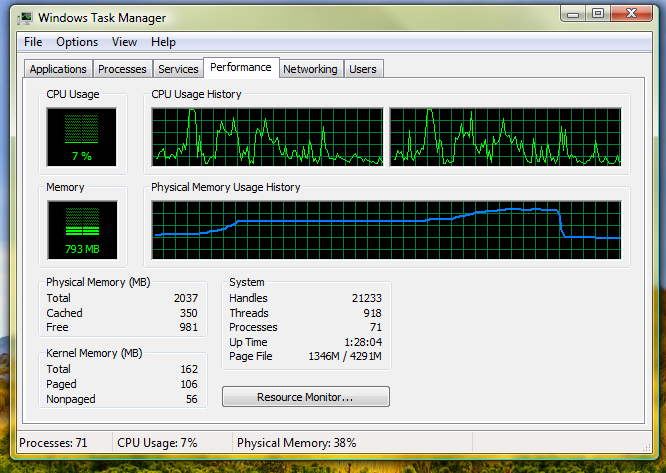 The inherent design of Google Earth makes it a memory hog. The reason for this, by my own speculation and understanding of PCs, is that in order to provide the multimedia experience it accomplishes (which is awesome). It has a "cache" that holds the images it streams in order to provide you a clear image at the zoom level you're viewing at. Where does it store all the temporary images that it loads on-the-fly? 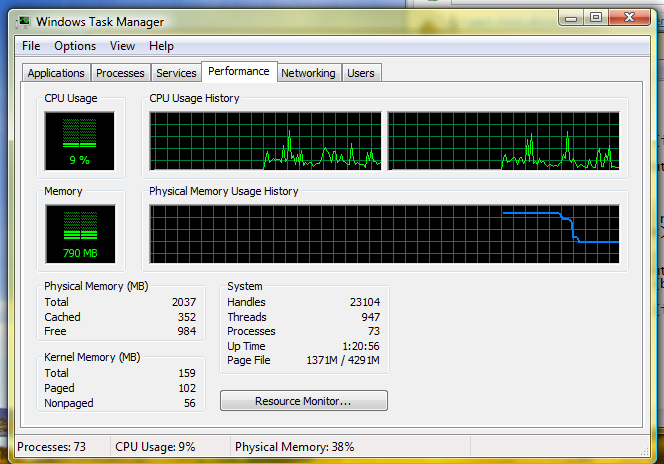 In a mix of physical memory (loads here first, for speed), and then a disk cache. Want to prevent this sort of system instability? 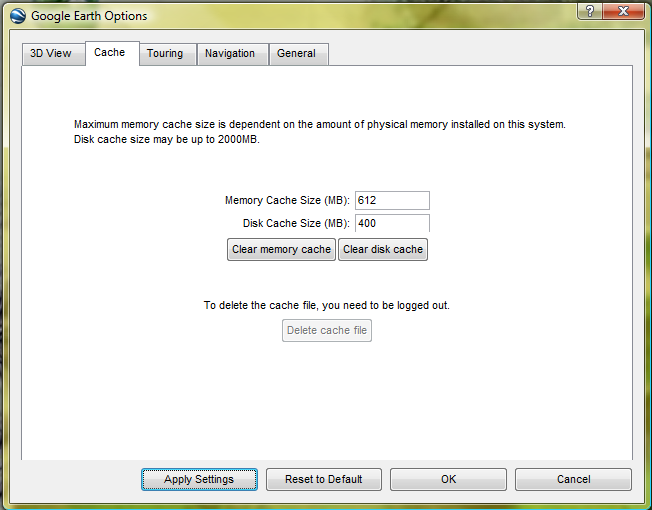 You can, by modifying the cache settings in Google Earth: get to the following settings window by clicking the "Tools" menu at the top, then selecting "Options" from there. You'll get this following screen. Be sure to click the "Cache" tab. All you really need to do is lower your Memory Cache Size to a smaller amount, and perhaps increase your Disk Cache Size to improve GE performance. This should help things out considerably.